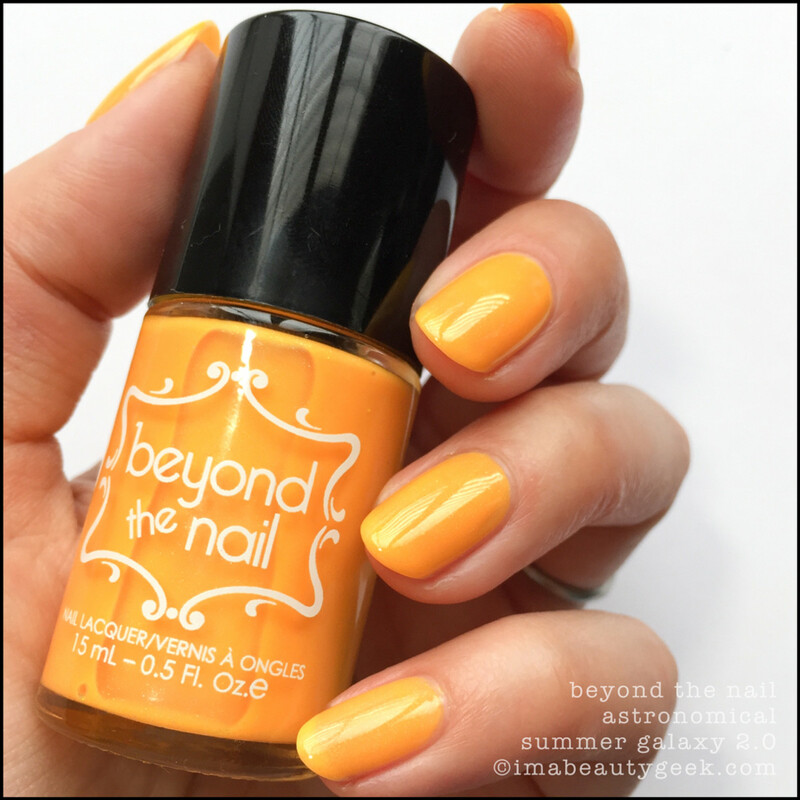 This colour-happy Canadian indie-nail polish created by two sisters in 2013 requires three coats to get to fabulous – and it's totally worth it. Here's why. Oh hey! Yep, just me. 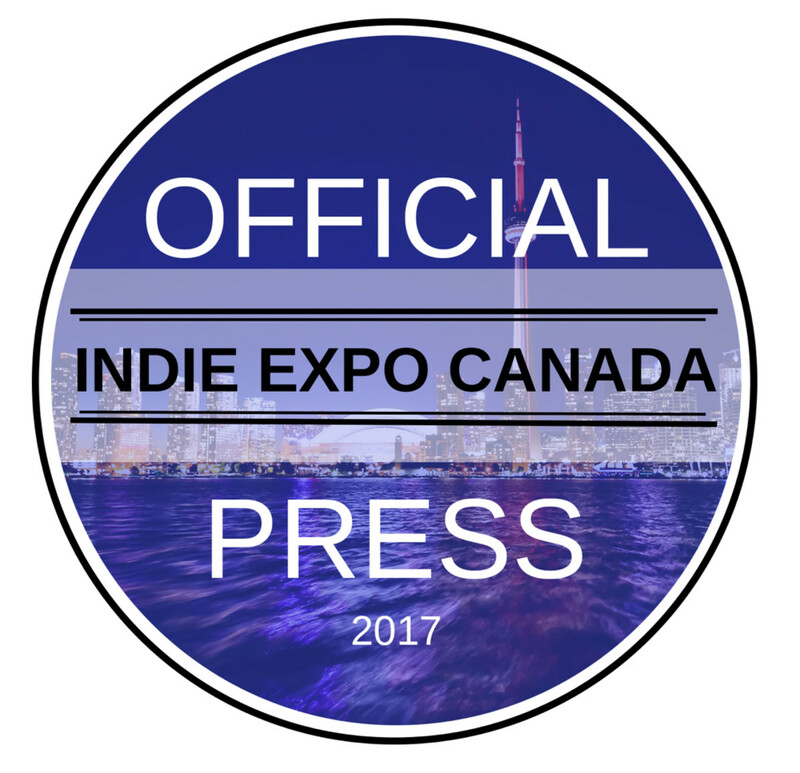 I’m still playing in all the fun things I picked up at the June 4 Indie Expo Canada 2017 that was held in my fair city of Toronto. 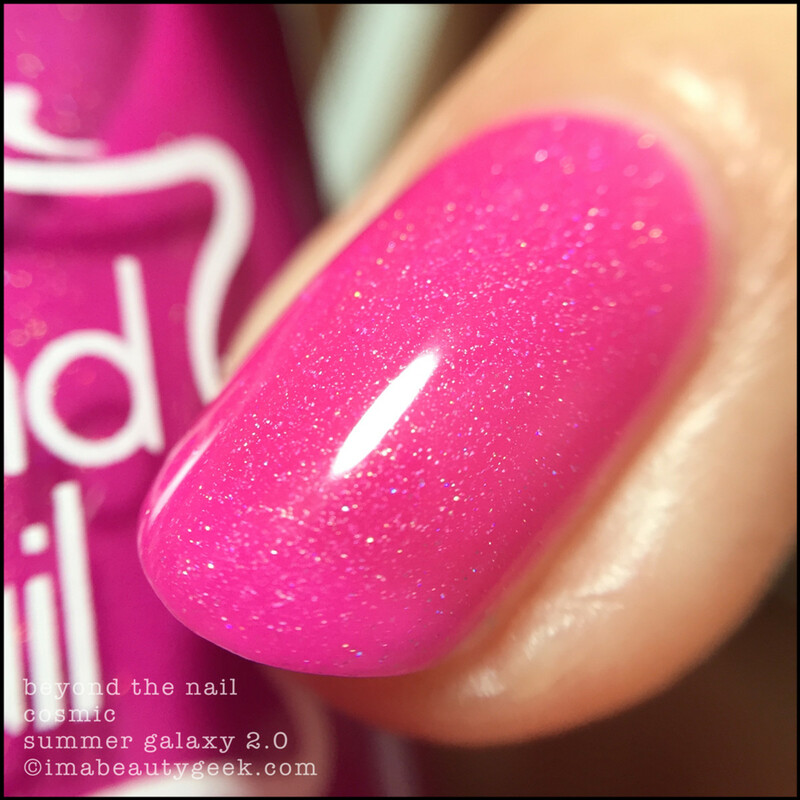 Today (because you need to see it) I gotta show you the Beyond the Nail Summer Galaxy 2.0 collection that was generously donated to the IEC2017 Paint it Forward silent charity auction. Yes, I silently bid on this collection and then (not so silently) squeeee’d over winning. *insert happy dance here*. 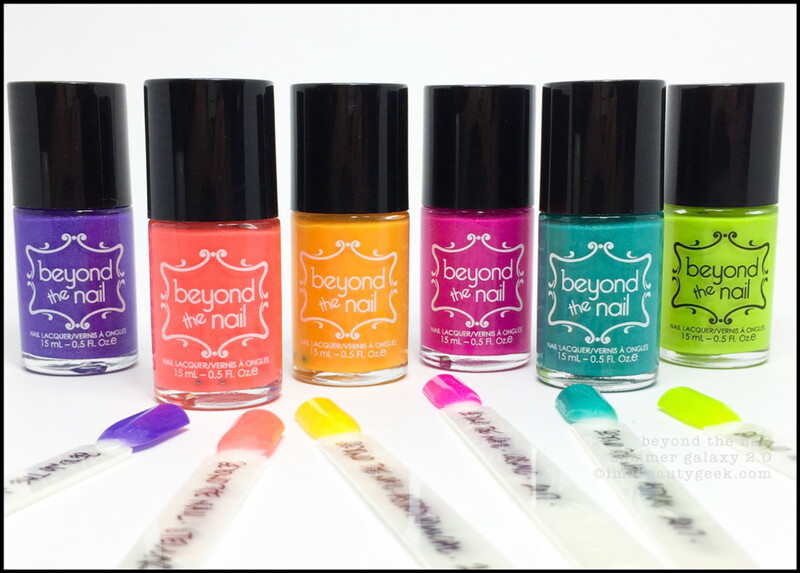 Let’s talk a little about Beyond the Nail! Okay, fine. I’ll talk, you read (weird how it always seems to work that way between us, huh?). Okay, Beyond the Nail… Canadian! Huzzah! But wait! 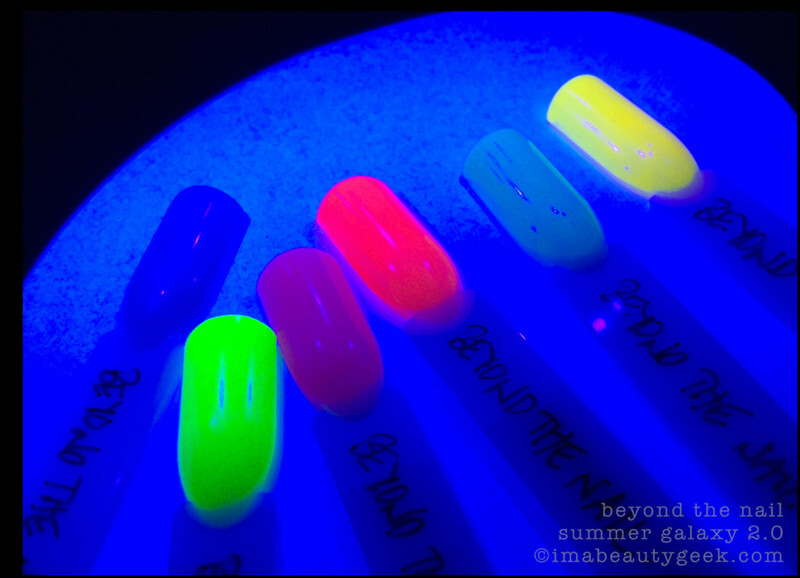 They ship internationally and if you point your mouse at beyondthenail.com, you’ll find #GrabbyHands pictures of all their polishes, stock lists, pricing, shipping stuff, contact information, and a bunch of FAQs right there for your perusal. This Summer Galaxy 2.0 Collection is new, and selling kinda fast. 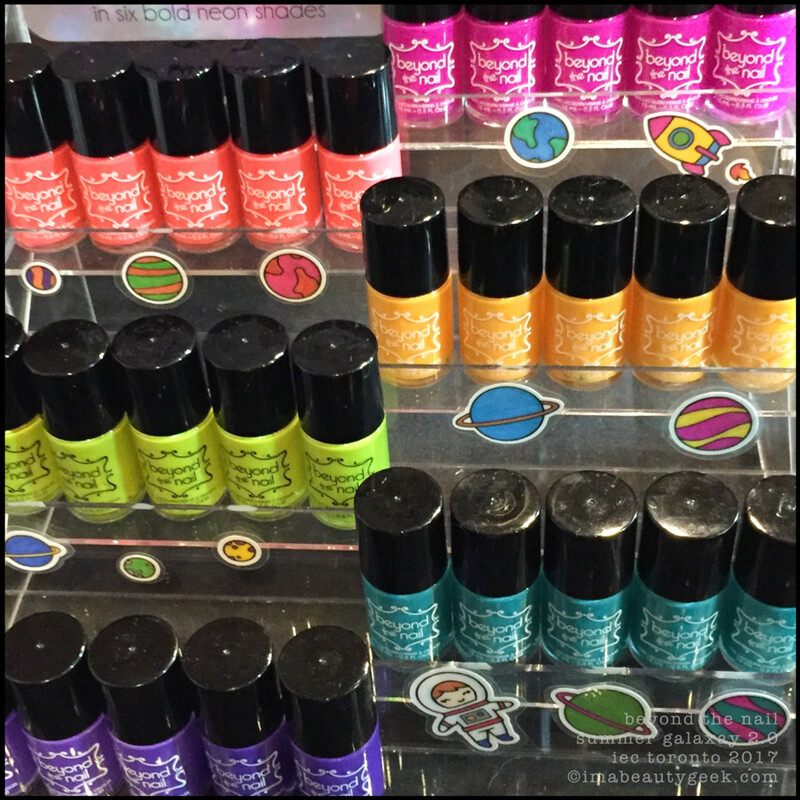 It’s all sorta jelly-ish and needs a good 3 coats to get to what you see in these swatches. I know you&apos;re thinking 3 coats!, but I tell ya what: the consistency of the stuff is whack. It dries quickly and builds remarkably well. To get the best shine, top coat is also a clever idea. At first glance you see bright almost-neon shades but if you get closer, it’s all stuffed with crazy-fine holo micro-shimmer that gives it a delicate sparkle-boost in direct sunlight. Then, if you’re me, (i.e. have a UV lamp because you use soak off gel as your basecoat), you slide your swatch sticks into your lamp, turn it on, and go “Holy crap! Some of it glows!” I know, I’m a dork. So what do I really think? I think it’s pretteh! 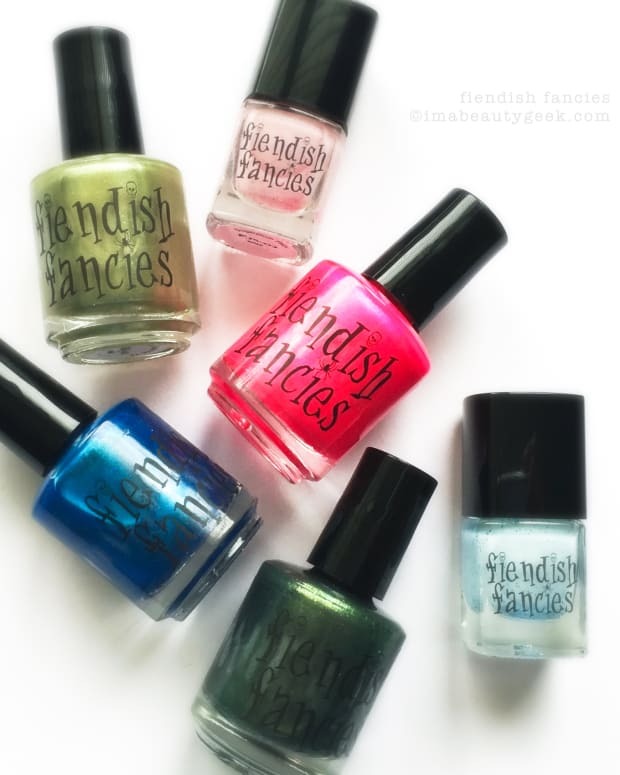 As a collection, these 6 shades just go together so splendidly they made me say “I need all”. And I don’t mind the 3-coat application simply because it builds faster than I thought it would and dries faster than I thought it would. Know what else? The “Made in Canada” that’s stamped on the back of the bottle brings a huge smile too. If you’re attracted to any of these shades, you’d best hustle. At the exact time of this posting, we’re talking single digits of these bottles left in stock. So? Whaddaya think? Pretty enough for you to check out their website and maybe also have a peek at their Canada One Fifty Limited Edition set while you&apos;re there? Me? I&apos;ma get me one of those because - Canada! Manicures & Photos Karen Falcon (she’s running low on acetone).